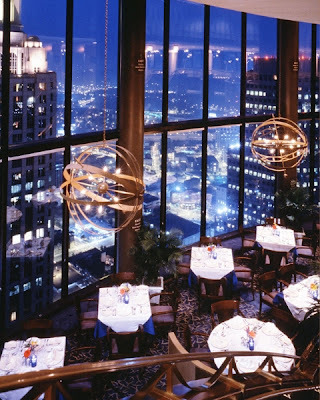 The Sun Dial restaurant sits at the top of the Westin Peachtree Hotel, in downtown Atlanta. During dinner, the restaurant slowly rotates around for a full circle view of our beautiful city. Wonderful food, atmosphere, and of course, view of the entire city. Reservations required. Definitely one of our top favorites!